Every May the food allergy community combines efforts to educate and inform the world surrounding them about the seriousness of food allergies. The main goal is to improve public understanding of this potentially life-threatening medical condition. With increased awareness, we can encourage respect, promote safety, and improve the quality of life of people affected by food allergies and anaphylaxis. Peak season for asthma and allergy sufferers is the perfect time to educate others about these diseases. This is a great time to get involved and connect with people living with food allergies near you. Check your local food allergy support organizations to see if there are any local events, walks or fundraisers that are planned. You can make a huge impact in food allergy awareness and help keep people safe by simply putting up a poster explaining food allergies. 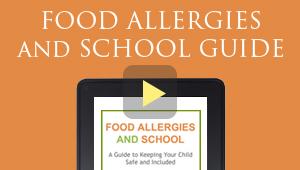 Many resources and posters are available for download to help spread food allergy awareness. 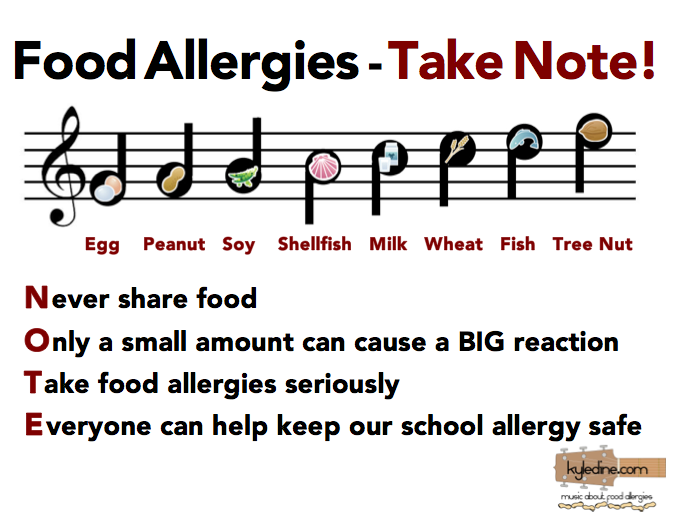 Kyle Dine, a food allergy musician, entertainer and educator, kicked off Food Allergy Awareness Month by releasing new allergy awareness posters that are free for download. If you look up at a landmark building during Food Allergy Awareness Week, you may find it lit up teal. That’s because Turn it Teal’s mission is to light as many sites as possible during Food Allergy Awareness Week, May 8-14 this year. You can see all of the confirmed teal lightings on turnitteal.org. 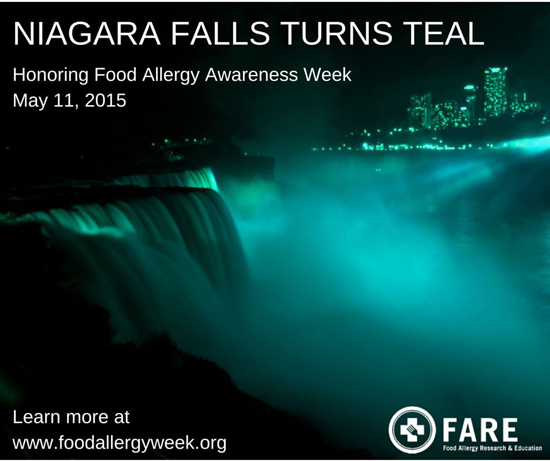 Niagara Falls in Teal for Food Allergy Awareness in May 2015. Niagara Falls and the Peace Bridge are scheduled to be Teal on Friday, May 13, 2016.